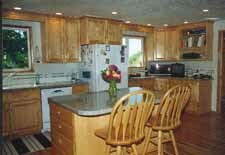 This kitchen project removed the wall between the kitchen dining area and the living room to create a more open feel. Craftsman style pillars and shelving created a new visual appearance and help to support the center of the roof. Left shows the view from dining area to living room before the wall was removed in center photo. Right side shows view from living room area. 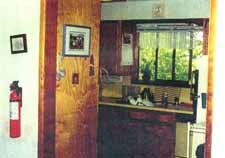 Windows were added to the kitchen area and access to the rear deck was moved. Minor changes in placement of the appliances allowed for an improved work area. 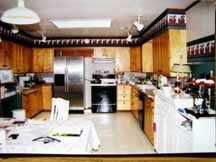 Left are views of the kitchen before the remodel. Photos at right show the same view of the kitchen after the remodel. The sink and stove were left in relatively the same position. The refrigerator was moved out of the work area surrounding the stove. 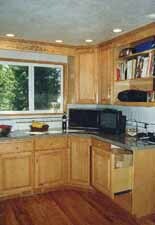 The fireplace in the corner of the dining area was removed and a built-in hutch was added. The hutch also serves as a coffee bar or a wet bar area. This project also included a facelift to the front facade of the house. 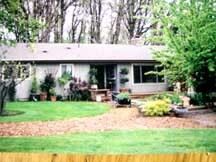 Photo at left shows the 60's ranch facade before we added the porch and trellis shown at right. More views of the porch facade below. 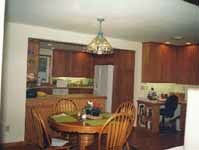 This kitchen project took a very small kitchen and used the adjacent dining room to expand. In addition a wall between the kitchen and the family room was also removed. 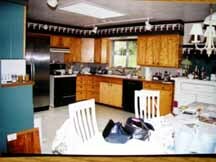 The photos at right show the kitchen before on top. At left the same view after the remodel show the kitchen sink still in the same place under the same size window. The cooktop also remained in the same position to minimize rewiring and plumbing. The photos below show other views of the new kitchen. 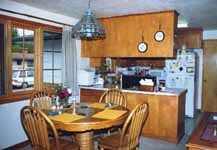 This kitchen dining area is seen frequently in the 60s ranch homes around the valley. 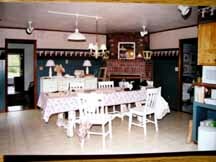 The photo to the right shows the original kitchen which was about 8'x8'. The front door entered directly into the dining area. To gain space and an entry area an addition was made to the front of the house. 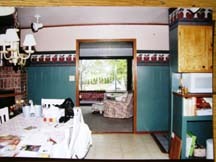 The left photo shows the same table location but with the kitchen moved out into the addition. 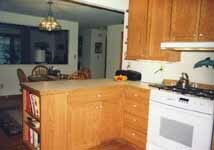 The former kitchen area became desk area and glass front cabinets for dining storage. The right wall of the kitchen houses a large pantry and the refrigerator. 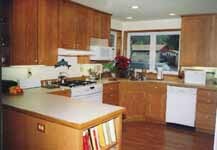 The other photos of the kitchen below show a corner sink, lots of counter space, and plenty of storage.